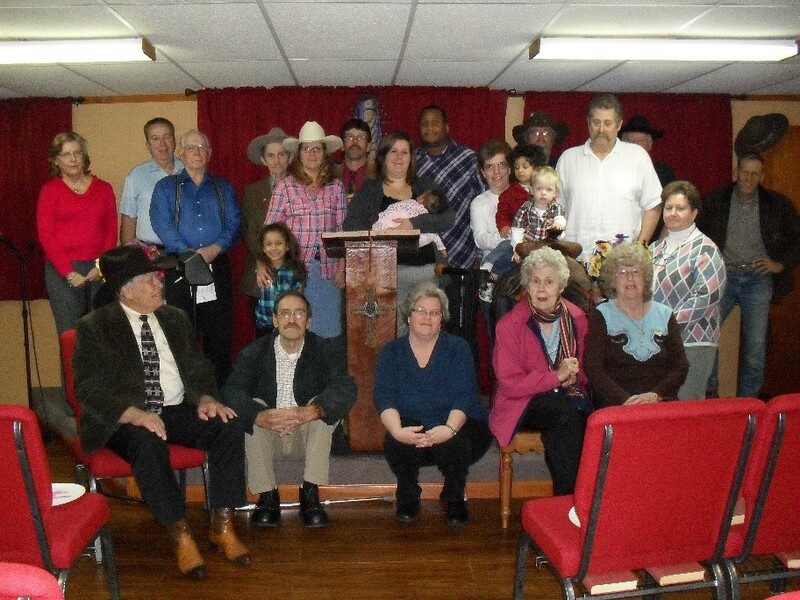 This picture is of a recent gathering of some of Cowboy Church. These folks, (and the one's not pictured), get along great! We have farmers, and all sort of horse people, from mounted shooting, to roping and about everything in between, including those of other assorted occupations. God has been good to us! Always, the fellowship is good in Cowboy Church!